Motorola’s Defy+, which looks more or less the same as the original, but has a 1 GHz processor instead of 800 MHz. We had an inkling Motorola was working on a successor to their last tough smartphone, so no huge surprise there. The Defy+ will run Android 2.3 Gingerbread, and like the original, has a 3.7-inch 854 x 480 touchscreen, and the whole package is IP67-certified, which means it’s scratch-proof, dust-proof, water-resistant, and impact-resistant. 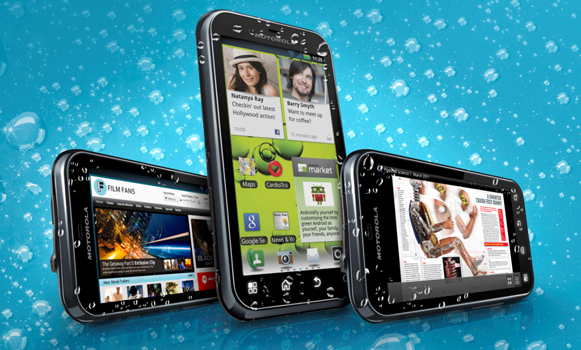 It keeps the 5 megapixel camera with LED flash, and with a 1700 mAH battery, it’s sure to get you through a busy day. While the Defy+ is not the only rugged Android phone on the block, Casio has a long-standing series of tough phones which have captured an niche for those in demanding work environments. 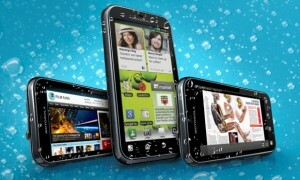 The Motorola Defy+ is due across Europe, Asia, and Latin America early this fall. It would be surprising not to see it hit North America shortly thereafter, but until then, you can check out the Defy+ spec sheet and photo gallery over here.